It was a cooler afternoon in late Spring, after so many hot days, so we hit the road! We had a vague idea to run along the Murrumbidgee River from the village of Jugiong to wherever the end of daylight left us. The village of Jugiong has been by-passed by the Hume Highway and is a riverside oasis of ancient eucalypts, a traditional veranda-ed pub and one of the best RV camping spots in the region. It was a birthday and we wanted no fancy restaurants or silver service. The treat for the day was to sit, with a coffee and muffin for afternoon tea, by the banks of the majestic Murrumbidgee River. 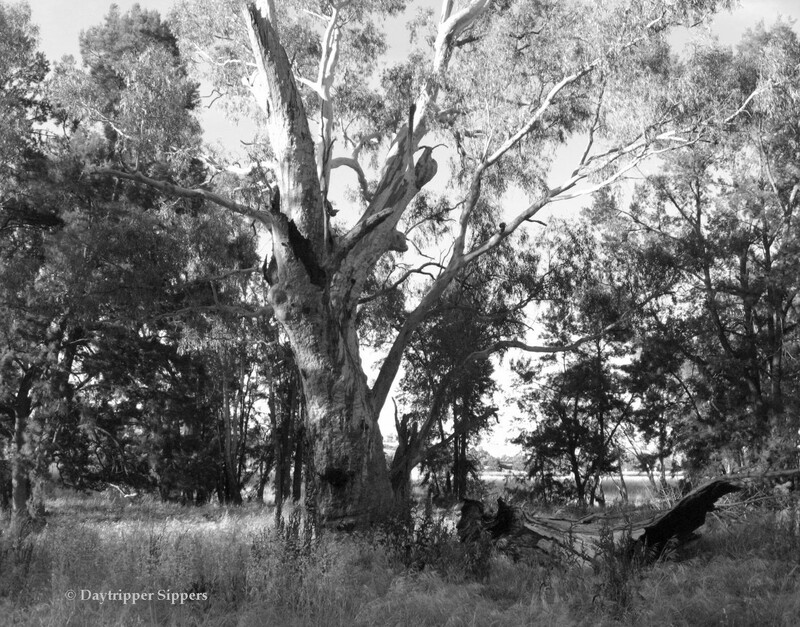 This entry was posted in Natural wonder!, Photo challenge, Time travel & Heritage and tagged Australia, B&W, Hume Highway, landscape, Murrumbidgee River, Nature, New South Wales, photo, Photography, postaday, the bush, trees.